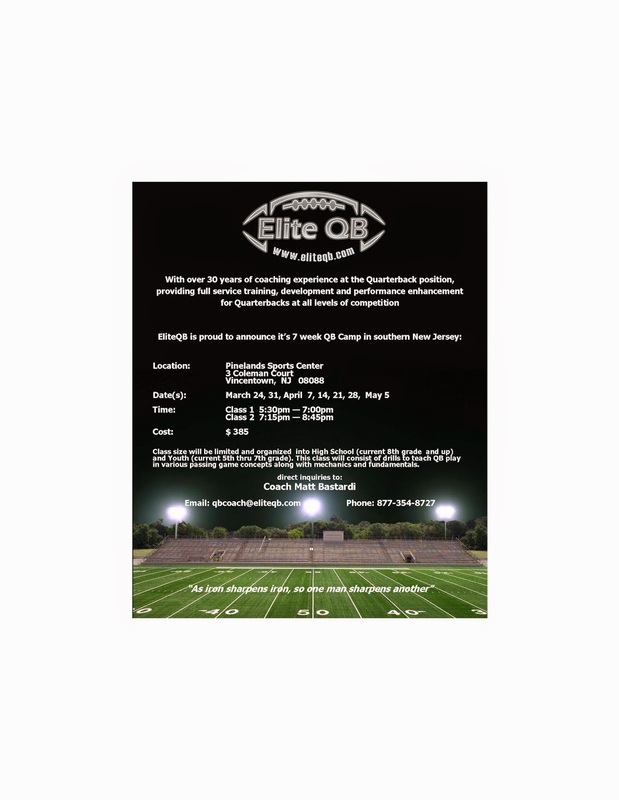 For quarterbacks or players who would like to work at the position in the future, EliteQB is holding a 7 week quarterback training program at the Pinelands this spring. Follow the link below for more information. Football players and parents can help support the MYAA Warriors lacrosse program by shopping at Sports Authority during the MYAA Warriors Lacrosse Appreciation Weekend, Feb 28th - Mar 1. Simply present this coupon and receive 20% off your entire order.